The Adoration: Wise men and their camels, shepherds and their sheep, along with Mary and Joseph in the stable adore the infant Christ. The star of Bethlehem twinkles above. 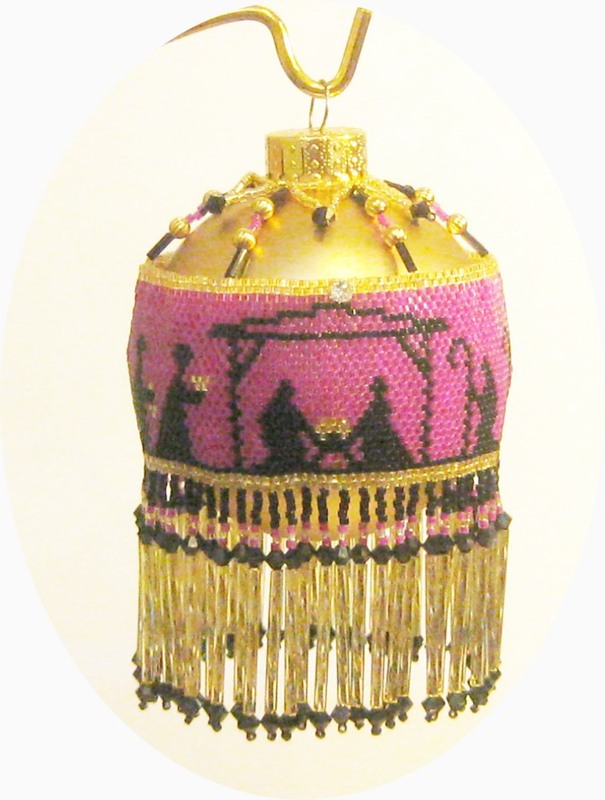 This ornament is worked as a silhouette in peyote stitch using only 3 colors of Delica seed beads and is trimmed with jet crystals and bugle bead dangles. This design is easy enough for a newbie and makes an elegant addition to your ornament collection. Basic Even count Flat Peyote stitch instructions are included. Both Word Chart and Color Graph provided for the main Panel.